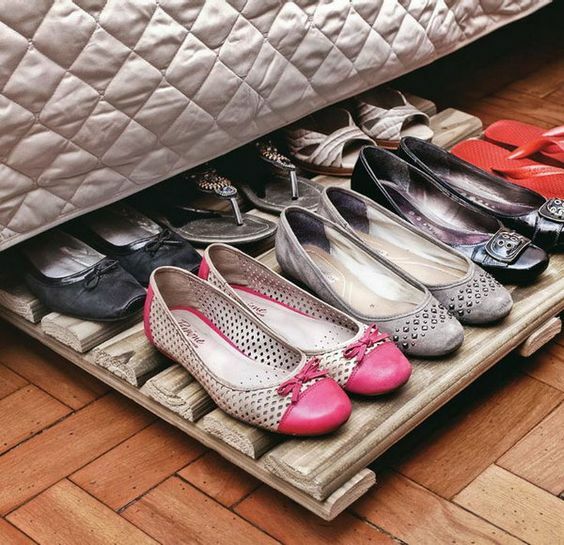 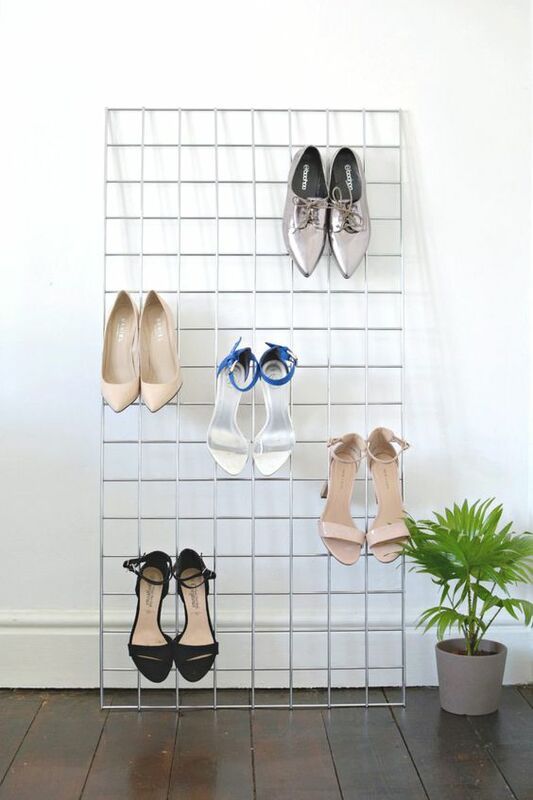 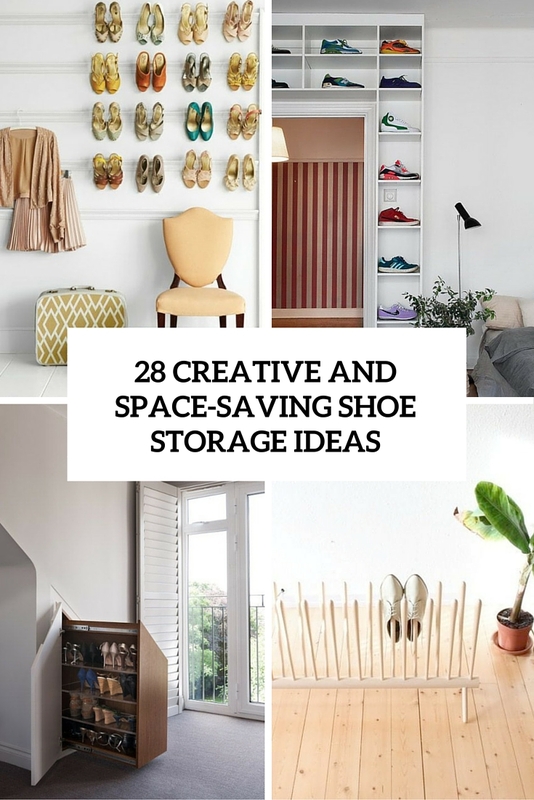 Shoe racks and shelves are a usual thing, we all have them but sometimes we just can’t use them because there isn’t enough space or there are too many shoes, so we need more creative ideas that are space-saving and smart, so today I’m sharing a whole bunch of such things. 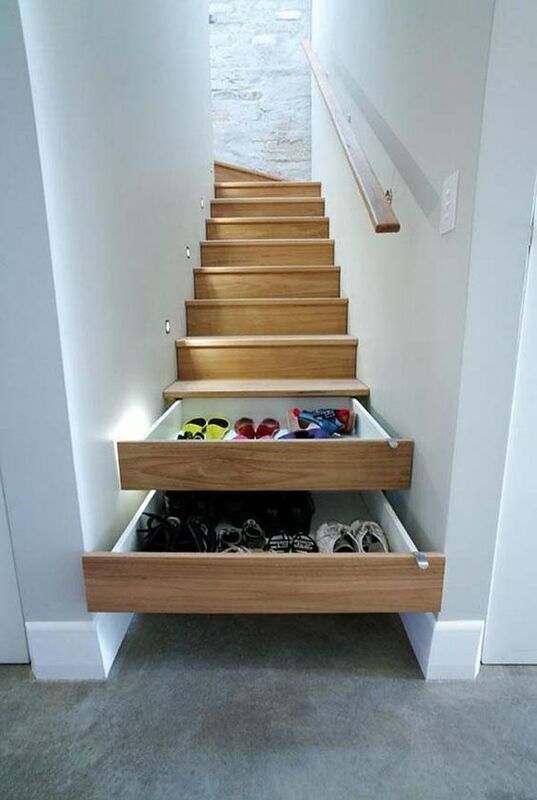 Order some drawers to be inserted right in the steps or in the side of the staircase, so you can pull them out when you need and take your shoes or boots. 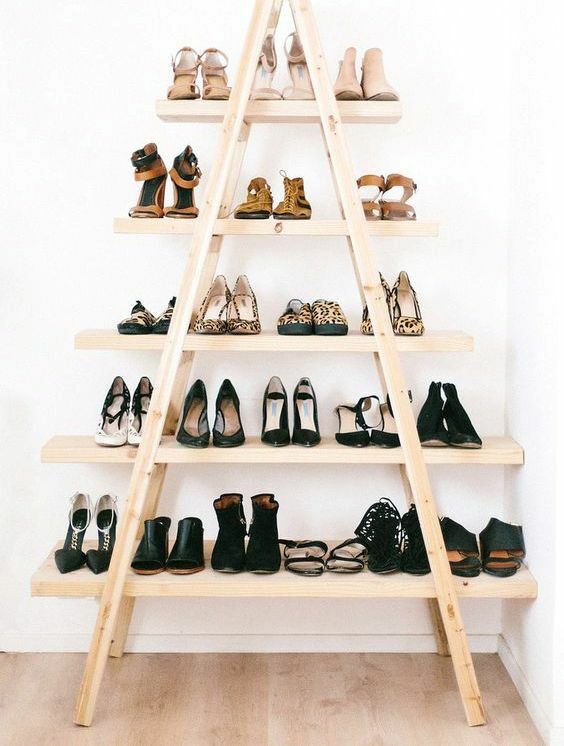 The bigger the staircase is, the shoes you may hide inside – and see, no floor space is taken! 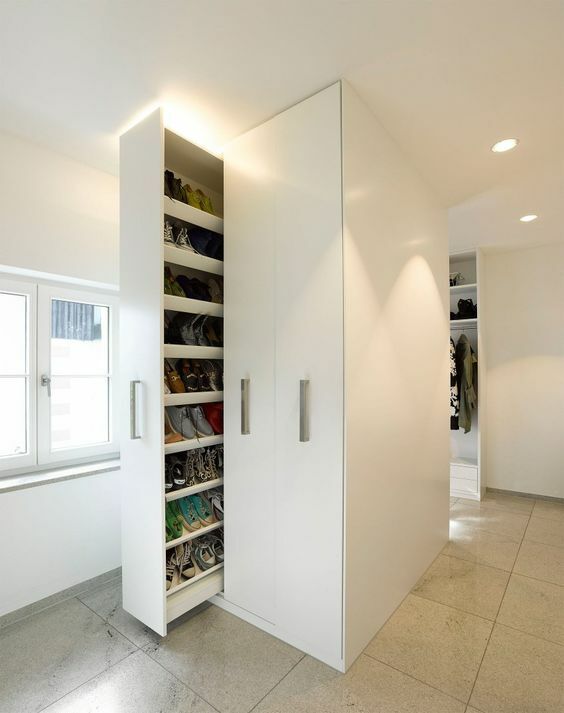 Besides, such storage will declutter your space. 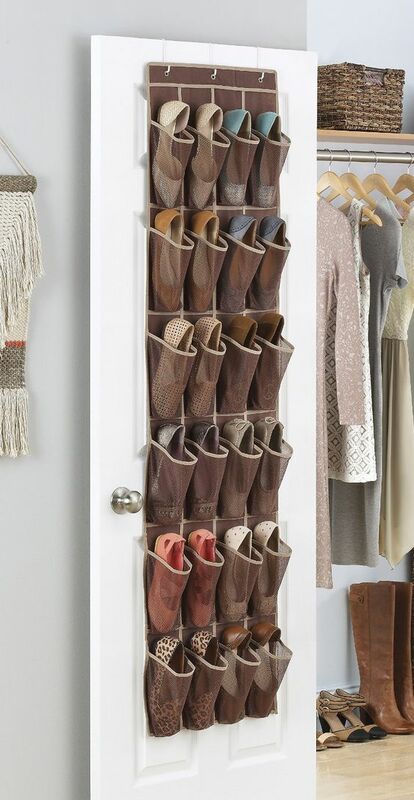 If you have some space in your closet, make vertical pull-out drawers for storing shoes and other things. 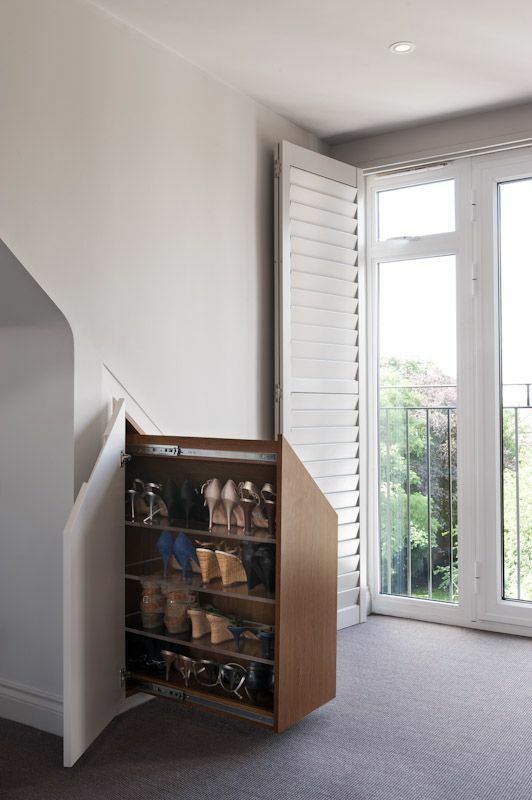 Attic space? 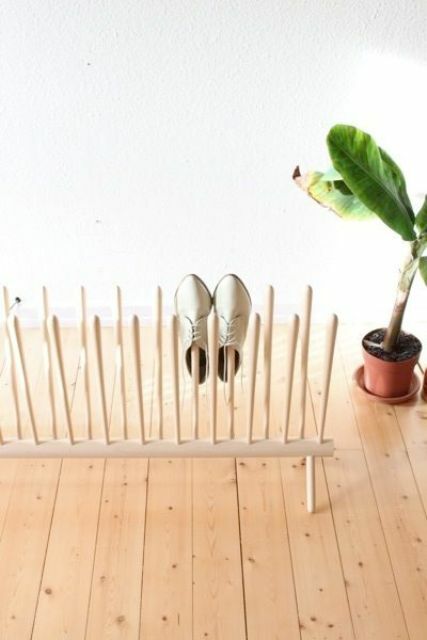 Use the space under the eaves! 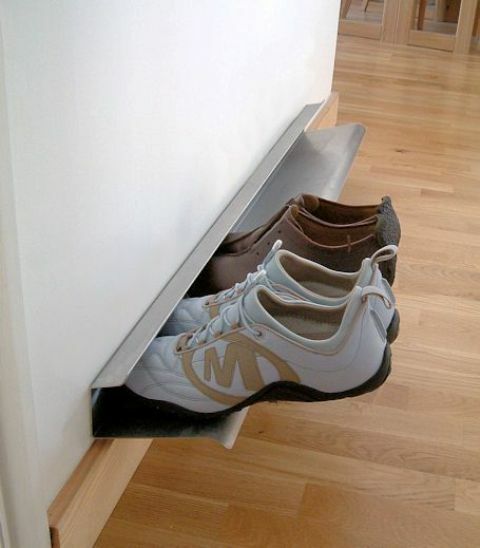 Make some pull-out drawers right inside to make this usually dead space usable. 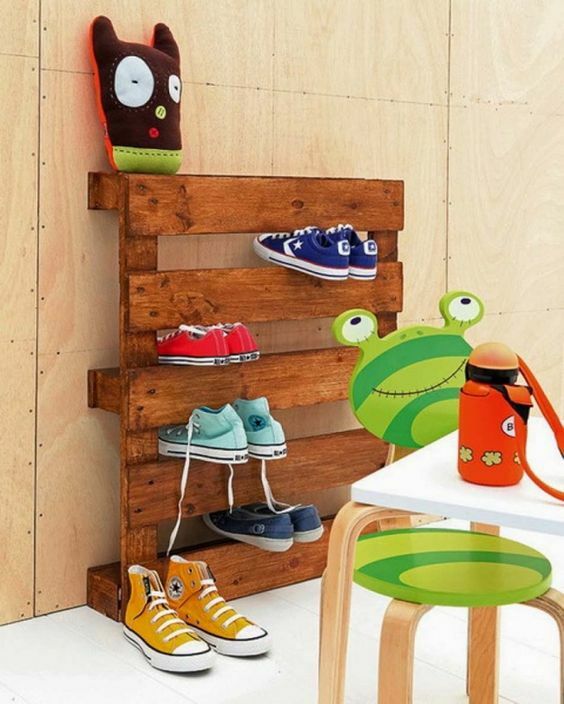 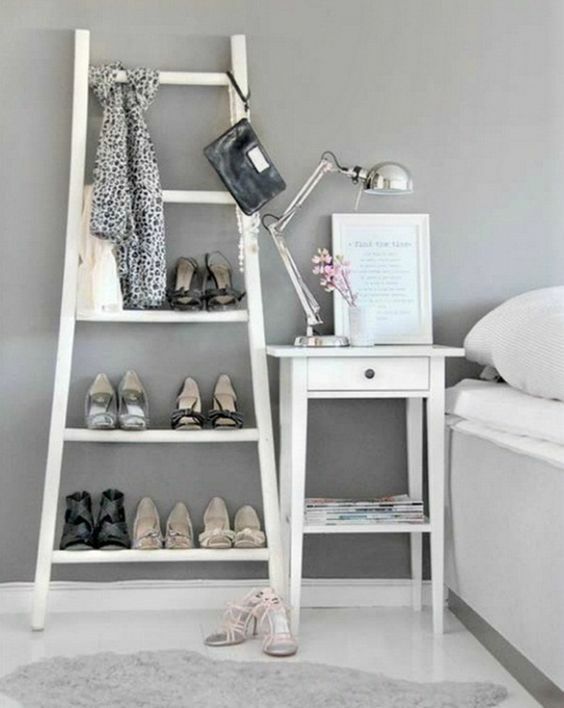 If you have an old ladder, you can easily repurpose it into a shoe shelf. 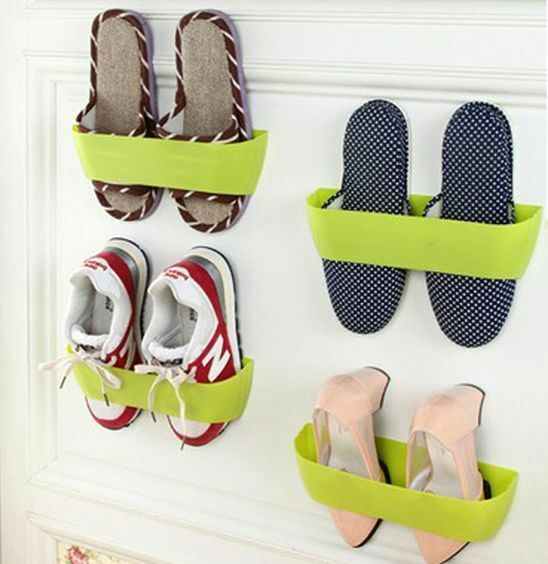 Sand it, paint it and place in your closet or entryway. 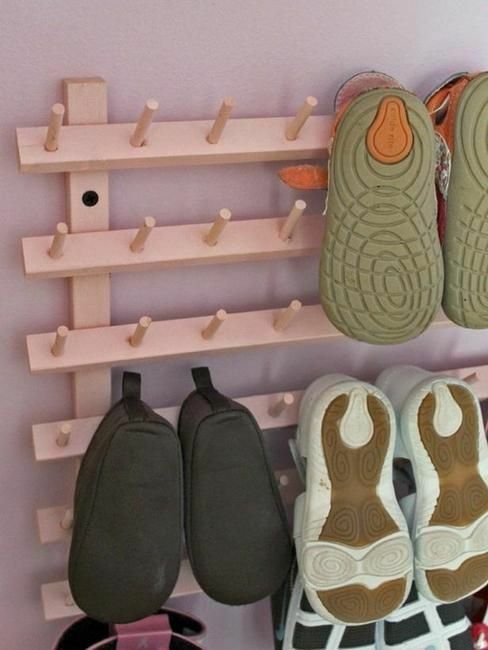 It looks cool and is very comfortable in using. 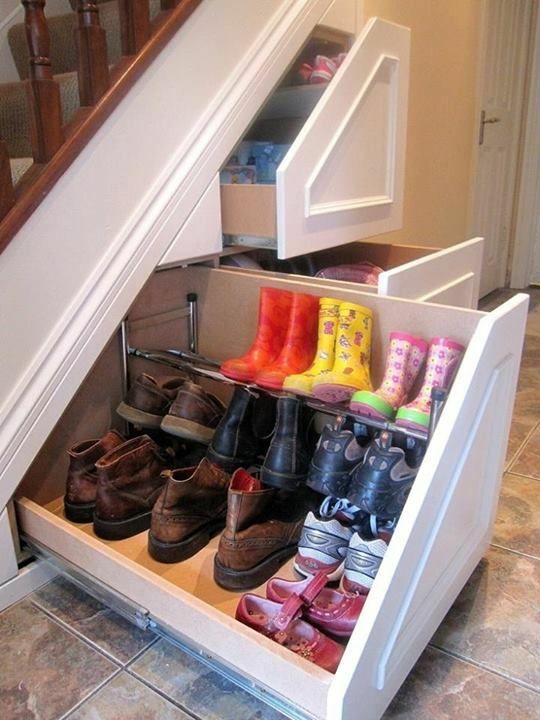 Yes, they take some floor space but you can use all the shelves and the space under it, too. 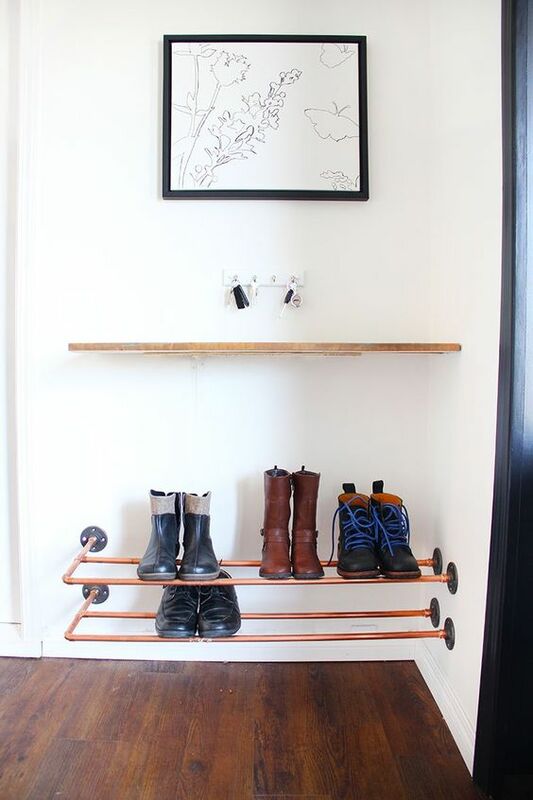 Wall-mounted shelves and racks will save your floor space, and there are lots of ideas to realize yourself. 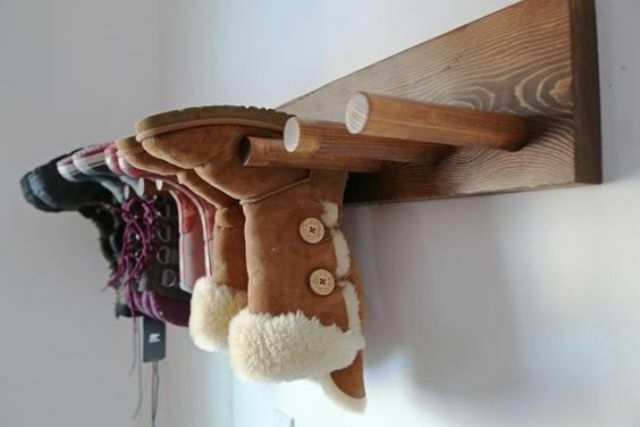 Various adhesive shelves, rails for storing shoes and boots, flower boxes used as shelves, pipes attached to the walls, hooks, holders and other stuff will help you to store more shoes without having much space in your closet or entryway. 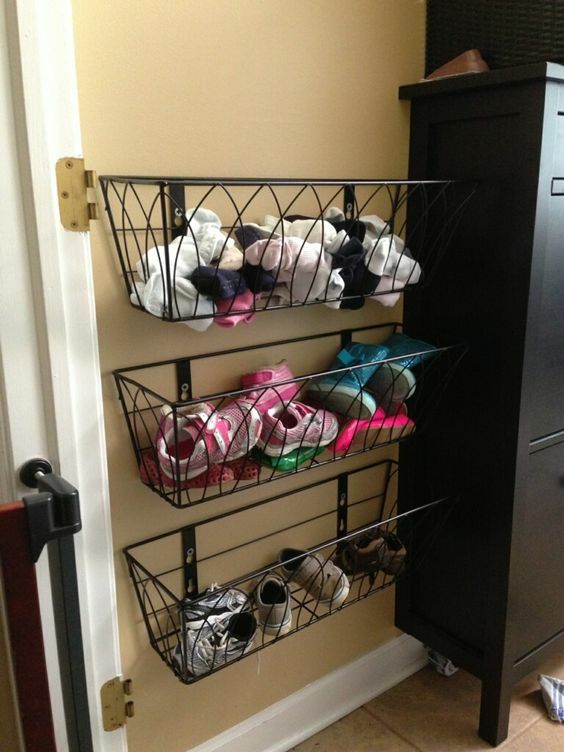 You can also place a shelf or rack over the door, that space is usually not used but you can make it effective. 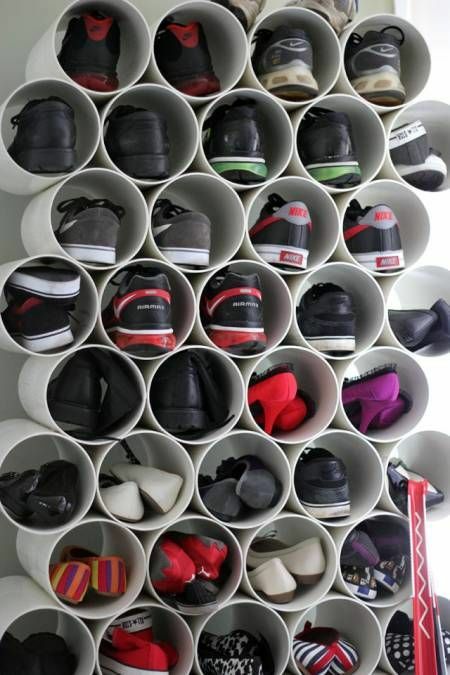 Storage ottomans, PVC pipe shoe rack, wooden poles and fabric pockets hanging on the doors – this is just a part of ideas you can apply to get effective shoes storage. 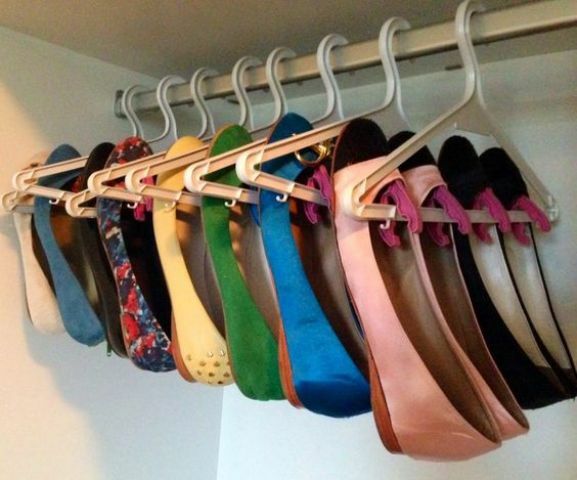 Look at them below and choose, most of them can be easily DIYed.